Several intrepid members met to enter Grundons, Stoke Orchard, by kind permission from the Grundons management. Lower Lias clay is dug to create large pits for the rubbish to go into.The clay is impervious and our guide explained this prevents leaching of contaminants into the ground water. 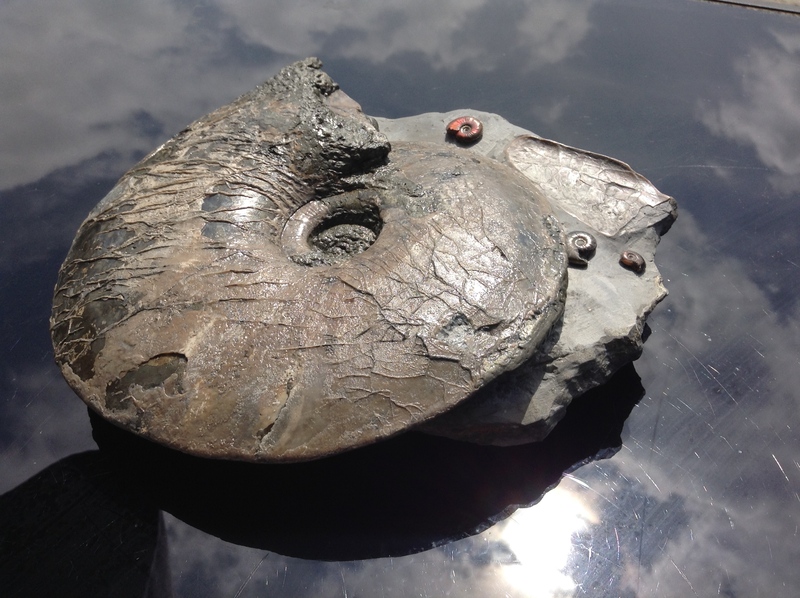 The clay is piled up and allowed to weather, as it breaks down from clay stone, fossils are released.The type ammonite at this location is Oxynoticeras oxynotum. Tom was fortunate to find a large macro conch shortly into the trip,and several other nice specimens were found .The management were very helpful in guiding our party to various parts of the site, and explaining the enviromental management aims. A stunning blue day saw six members of CMGS meet up for the Blockley Clay Pit. Armed with various tools including Trevor's 'claw',the team progressed into the pit. We found an awful lot of infill in the quarry with huge amounts of clay having been moved around. Finds were slow in coming ,but everyone went home with a few nice examples. 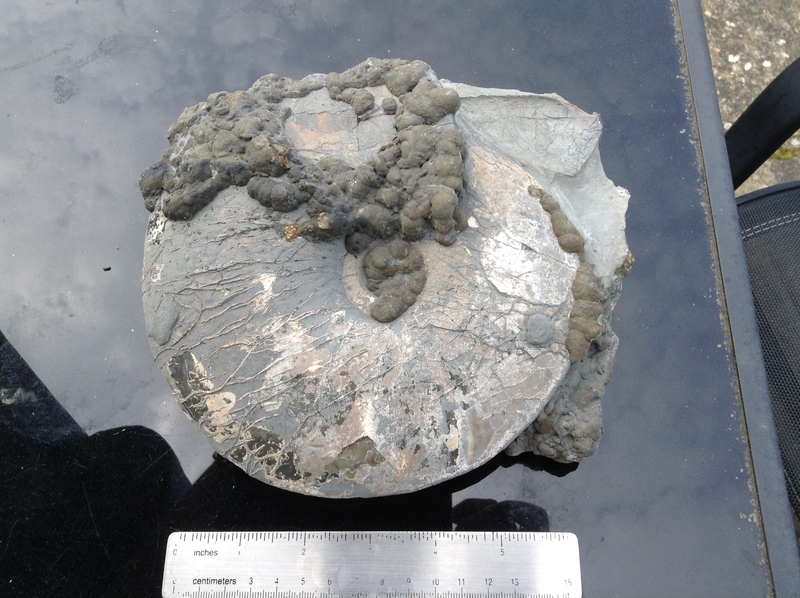 Below some photos from the day,including three reasonably good lipoceras ammonites Tom and Ben brought home,and variety of fossils from the shelly bed Adam was digging in. An early start ,and some hardy members of the CMGS met at the Nant Helen open cast mine,in South Wales. After a brief health and safety meeting, the mine management kindly took us in their land rovers into the mine. The find of the day had to be the huge quartz crystal by Tom Cotterill. Hopefully he may email us a photo of this. In the same gully,some smaller quartz crystals were found ,an example as below. An enjoyable morning, and thanks to Celtic Energy for their hospitality.